15in Sml fits* up to 5'6"
17in Med fits* up to 5'8"
Powerful disc brakes and wide range Shimano 24 speed drivetrain for smooth shifting on rough terrain. The plush Suntour suspension fork further smooths the terrain. Adjustable preload provides maximum efficiency. 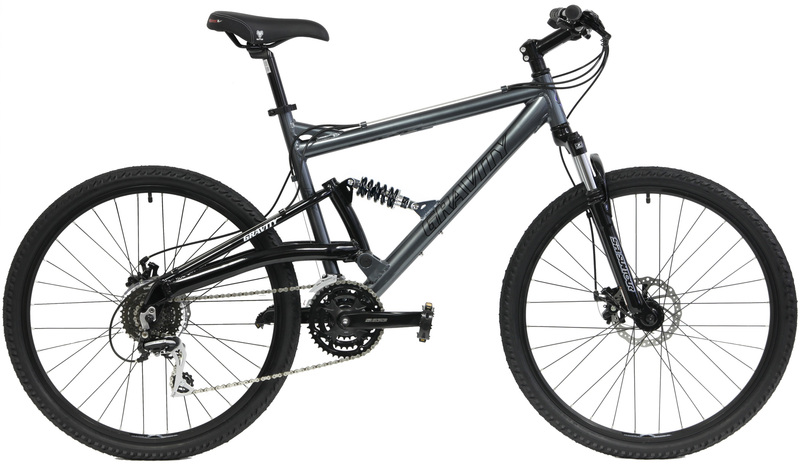 Incredibly specified with precision Shimano Acera rear derailleur, tough SunTour Cranks, strong Double-wall rim wheels, Powerful Disc brakes, Adjustable Suspension fork. 15 inch = XSmall/Sml | Standover = 26.1" | fits* up to 5'6"
17 inch = Small/Med | Standover = 27.5" | fits* up to 5'8"